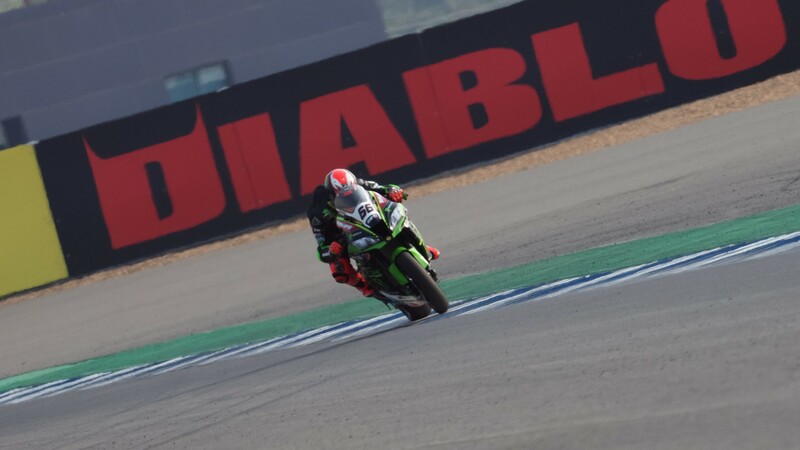 Rea: "I enjoyed the excitement on track but it was a tough race"
Leaving feeling content with his weekend, Jonathan Rea (Kawasaki Racing Team WorldSBK) secured fourth position in race two at the MOTUL Thai Round after a tough battle with a brake issue around the 4.5km circuit in Thailand. 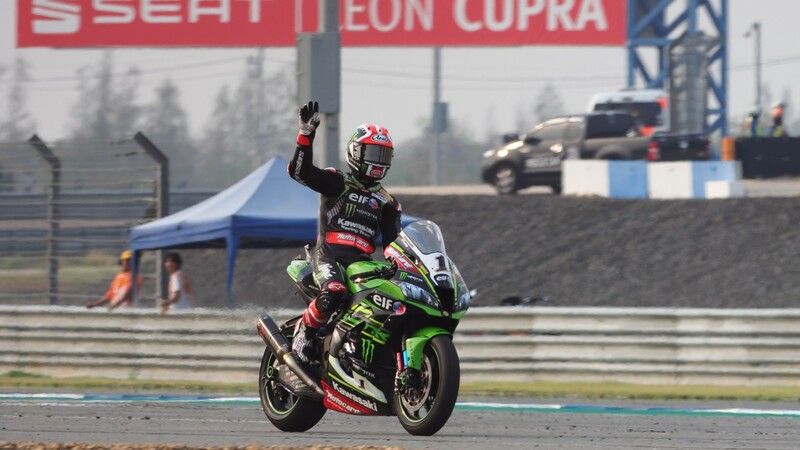 Ending his 100% podium record around the Chang International Circuit, Rea was caught in a battle in the opening laps which meant he faced a tough challenge as he handled a brake problem whilst fighting with a leading pack of six riders. Getting into a comfortable position with his ZX-10RR in the second half of the race, he was able to fight back and secure fourth position. 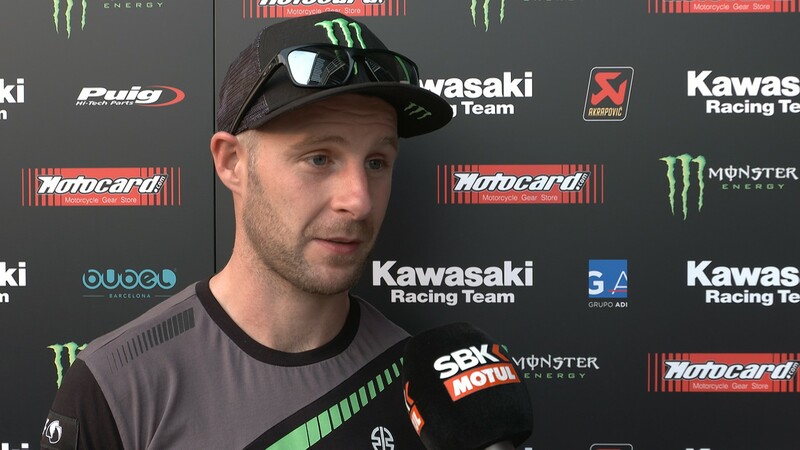 Leading the world championship standings as the MOTUL FIM Superbike World Championship heads to Europe, Rea was happy with his weekend overall: “It was a very difficult race, we suffered a brake problem from lap one and right through to lap 13 I was considering coming into the box. It was a scary one, I am little bit upset at myself as I put myself in a position to commit to passes I couldn’t really do. Around lap 13 the pressure came back and I was able to understand how to manage the lap time and in the end we could be quite fast. I enjoyed the excitement on track and as soon as I had the problem I was worried – almost panic. I would go for the limit and sometimes and have the pressure, sometimes I wouldn’t. 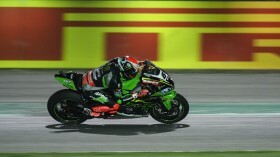 On the other side of the garage, Tom Sykes (Kawasaki Racing Team WorldSBK) had a more disappointing weekend in Thailand as he was forced to retire from race two with a suspension problem. Watch all the action from the MOTUL Thai Round with the WorldSBK VideoPass and prepare for the European season to begin from 13th – 15th April at MotorLand Aragon.